Sometimes you come across a design or a product that had not been on the radar - but it stops you in your tracks. It's like driving along a road and suddenly there is an amazing view and you can’t help yourself and just go wow. Well it was a bit like that on seeing Really at Kvadrat at Klubiensvej in Nordhavn on Thursday. In part, this was because I had seen nothing on the internet about Really so, for once, this was the impact of something that appeared to be very new and came out of the blue ........ or maybe it just shows that I’m not going through the design magazines with enough care or attention because Really was shown in Milan. The result is new Acoustic Textile Felt and Solid Textile Board - a new building board. These are made from end-of-life textiles - for instance, worn-out bedding from large laundry companies - and the process does not use toxic chemicals or water or dyes. At the end of their own useful life the felt and boards can be “re-granulated” to feed the start of a new product so hence that concept of circular design. Solid Boards come in different gauges and can be cut and put together for furniture with many of the same techniques as plywood. Thicker boards even have the same impression of layers as plywood with white cotton used for the core layer and coloured outer layers in Cotton White, Cotton Blue, Wool Slate and Wool Natural and that can be more obvious when several thinner layers are combined to form a heavier or thicker gauge of board ... for instance for table tops. Boards can be cut, drilled or milled, sanded and planed, laser cut and glued. Surface treatments are also similar to the finishes for plywood with lacquer, oil or wax. In the display at Kvadrat, a number of bold benches and tables designed by Max Lamb were shown along with a mood board collection of samples and ideas that, in a good way, reminded me of lino cutting … not the prints but the tangible qualities of the linoleum itself with all the various options you have for depth and sharpness of cut that reveal the layers down from the smooth matt surface and also because the boards themselves have some of that warmth and softness of colour that is a distinct characteristic of simple linoleum. Just opened at Form Design Center in Malmö … an exhibition of wallpaper from the Signatur range from Sandberg designed by Dagmar Lodén, Ylva Kallstrom-Eklund, Joy Zandén and Lillo Wikstrand who were working in the 1950s. With recent changes to this site there was a reason to look again at the typography and the layout of its pages and a chance to use some different colours. That meant thinking about which colours for me stand out in Copenhagen with a clearer appreciation of the city now I live here year round through all seasons. Water around the city - the seascapes of the sound - and water in and through the city - the water of the harbour, the lakes and the fountains of Copenhagen - along with the strong clear light, means that clean, deep blues are a strong influence on design and architecture here along with the softer distinct slate green colours found in the work of Arne Jacobsen and in many of the more recent buildings in the city with opaque panels of blue or green or with acres of glass picking up the tones reflected up off the water. Cream and sand colours, of many of the historic buildings, are important and, of course, greys tending to purple of the cobbles and setts contribute a lot to the colour and tone of the townscape but in the end, to my surprise, I realised that it is the dark yellow and deeper colours, from ochre through to the deep oranges and darker reds of iron oxides, used for so many of the painted buildings, that had made a real impact. 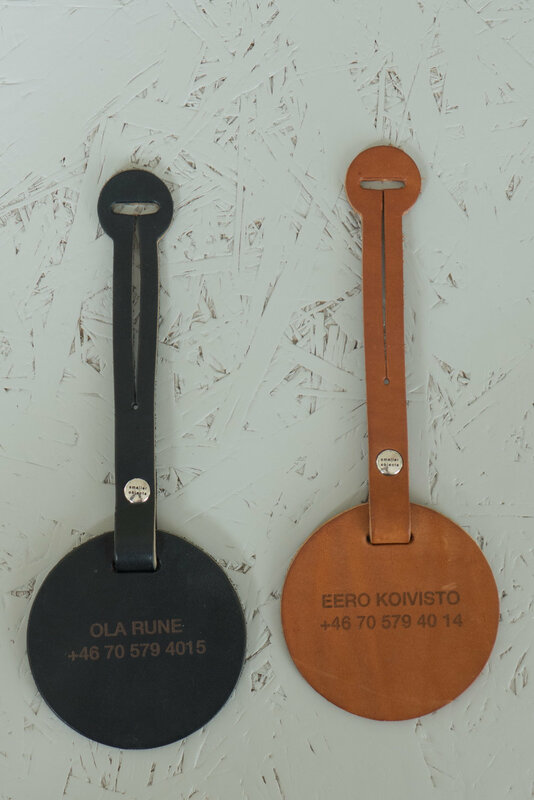 Of course, these strong earth colours are not unique to Copenhagen but are found throughout Denmark and in Oslo and Bergen and from Malmö to Stockholm and beyond, so they are truly Scandinavian colours and part of a strong colour palette that designers and architects see around them every day.